Get cavity wall insulation grants in the Dumfries area as part of the Government home energy saving insulation grant scheme. Loft insulation & cavity wall insulation are free for everyone in Dumfries for a limited period if your home meets the ECO grant criteria. The Energy Company Obligation (ECO) is designed to tackle carbon emissions and fuel poverty. Cavity Wall Insulation stops heat escaping out through the walls of your home. Around 35% of heat in the average home in Scotland and the UK is lost through the outer walls of the house. Under the current Government insulation grants scheme, hundreds of thousands of Scottish homeowners, landlords and private tenants qualify for a grant for cavity wall insulation. 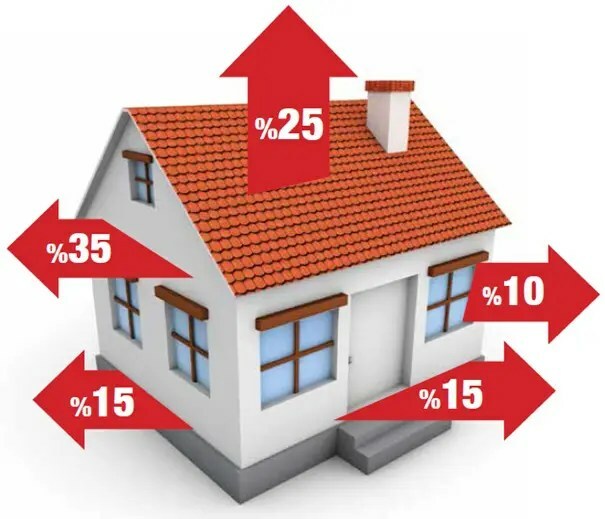 Homes with cavity wall insulation can save up to £275.00 per year on energy bills. If you install loft insulation it can mean another £175 off your heating bills. These are estimated figures based on insulating a gas-heated, semi-detached home with three bedrooms. If you live in a larger property in the Dumfries and Galloway area or are off the gas grid you will save even more. Energy Savings Trust. Is cavity wall insulation suitable for your house? Getting a free insulation grant in Dumfries and Galloway is a straightforward process. You can arrange an appointment with an approved insulation assessor by entering your details in the Insulation Grant Enquiry Form opposite. If you do not have adequate insulation in your walls or roof your home is losing heat – In an uninsulated home 25% of heat is lost through the roof, and around 35% escapes through the outer walls. This means that a huge percentage of your heating costs are being wasted. By insulationg your property you can save £100’s each year on unnecessarily high fuel bills. Your home will be easier to keep warm and you will be helping the environment by reducing carbon emissions. Your home will probably already have Loft Insulation but two thirds of homes in Scotland and the UK don’t have the recommended level, 270mm or 11 Inches. This is the level of loft insulation needed to stop severe heat loss in the average home. If your loft is not insulated properly, you are probably losing 25% of heat through your roof. Government grants for loft insulation are currently available for all home owners, landlords and private tenants in Scotland who meet the criteria for Energy Company Obligation (ECO) Funding. If you already have loft insulation it is best that you check and see if you have the recommended levels for heat loss prevention. You should have 270mm (11inches) in your attic. If you have any less than this your loft is not insulated correctly. Getting an insulation grant in Dumfries is a straightforward process. You can arrange an appointment with an authorised Energy Grants Surveyor by entering your details in the Insulation grant form opposite. An insulation surveyor will then contact you to arrange a loft insulation survey. He will check to see if your you have the recommended level of insulation. The surveyor will then fill in a form with you and arrange an installation date for your free insulation to be fitted. Scottish Energy Grants provide free home insulation surveys and access to cavity wall and loft insulation grants throughout the Dumfries and Galloway area.